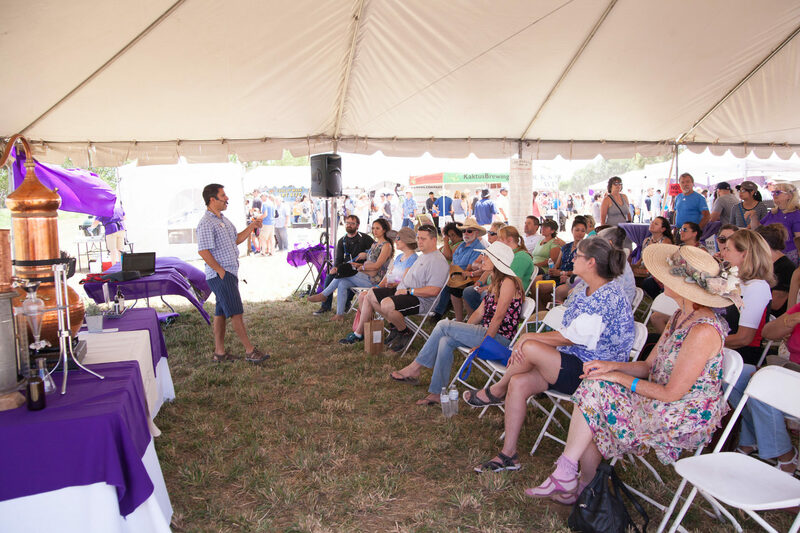 Located in the middle of the festival and sponsored by Los Poblanos Inn & Farm, for the sharing of ideas on agriculture, sustainability, and culinary uses of lavender. Join the Los Poblanos team to learn all about growing, harvesting and distilling lavender. Watch the alembic copper distillation in process. Experience the creation of lavender essential oil and hydrosol. Join Los Poblanos Chef Jonathan Perno and learn about his culinary vision behind our Rio Grande Valley Cuisine. CAMPO is committed to growing and sourcing local. Chef Jonathan will highlight a special recipe for root vegetables marinated with lavender. Stop by to enjoy a taste. Everything you ever wanted to know about pollen, pollination, and keeping bees. Lavender in the Kitchen: using one of nature’s oldest herbs to get dinner in the table in under 30 minutes! The easy way to use science and flavor to cook! 1:30pm: Growing Native and Adaptive Plants (including Lavender!) For all the Right Reasons, presented by Los Poblanos. Join Wes Brittenham, Los Poblanos Garden and Landscape Manager, to learn all about soils, water needs and benefits of native and adaptive plants. Wes has more than 4 decades of history working with plants and their particulars in the North Valley and beyond. Q&A, Lavender 101. Bring your questions!